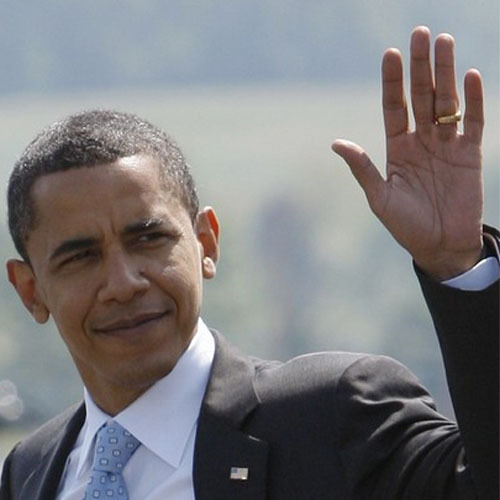 Next january elected president Barack Obama will likely become the 7th ‘left-handed’ US president in American history. Over the years there has been a discussion about high number of ‘left-handed’ presidents in American history. 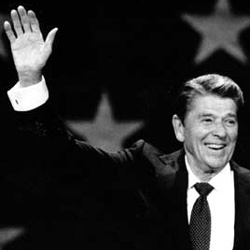 Actually, including Ronald Reagan, Barack Obama will become the 4th (out of five) left-handed president in less than 20 years. For, the current president, George W. Bush has been the only right-handed US president in the past two decades – his father and Bill Clinton are ‘lefties’ as well! Oh, and by the way, the other presidential candidate in 2008, senator John McCain, is also left-handed! How come that so many US presidents are left-handed? Partly it’s a big mystery, but a quick hand reading of Obama’s hand might provide us a clue! 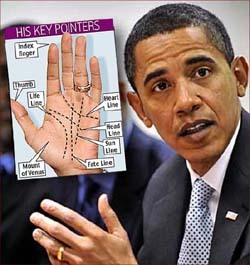 An interesting characteristic in Obama’s hand is ratio between his index finger (2th digit) and ring finger (4th digit). 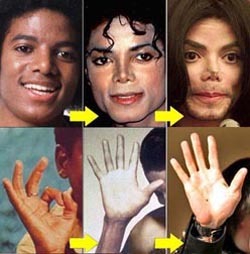 Professor John T. Manning named this specific finger ratio the ‘digit ratio’ (2D:4D). One of the interesting findings regarding this ‘digit ratio’ is Manning’s theory that a LOW DIGIT RATIO is likely to the result of an overabundance of testosterone in the mother’s womb during pregnancy. 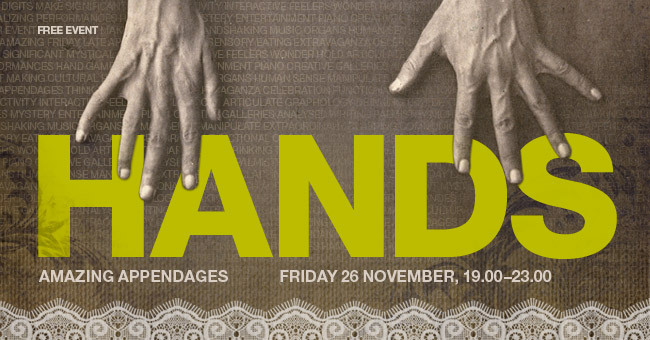 Not long ago another research program was published at the University of Melbourne, which reported that left-handednes can also be linked to a ‘LOW DIGIT RATIO’. And therefore there appears to be spectacular ‘triple-link’ between: (1) left-handedness, (2) ‘LOW DIGIT RATIO’, and (3) the fact that so many US presidents are left-handed!!! How to measure the ‘digit ratio’ of a hand? The picture on right describes the key-elements: first you’ll need to identify the onset of both the index- and ring finger. Then you’ll have to measure the absolute length of these finger – the length from the onset to the tip of the finger. And finally you’ll need to do a calculation: the ratio between the length of both fingers! • Barack Obama is the 7th left-handed US president! 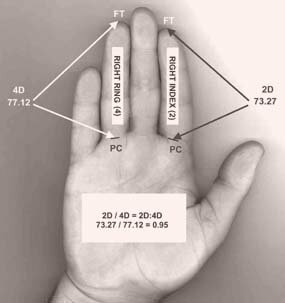 • Digit ratio (2D:4D) linked with handedness. 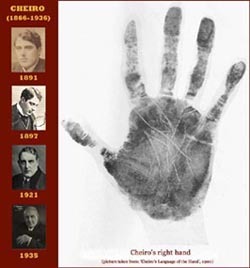 • Mr. Palmist, which hand do you read?